On the fast-paced Internet superhighway, mass information travels the globe with astonishing speed. If information is power then what of the misinformation? It appears that journalism has evolved. Fact checking became a thing of the past. Long gone are the days when reporters used to corroborate news facts & engineer the train of thought. Copy-paste journalism is on the rise and news outlets publish articles by other media outlets, now even bothering to change the phrasing or the headline. There is misinformation, resulting from an honest mistake or lack of proper research Then we have the deliberate dissemination of misinformation to serve the interests of corporations. The monopoly ownership of American media by big corporations enables them to spread the information that they want you to believe, using media. Following Michael Jackson’s death, the front cover of print media were plastered that he died due to drug addiction. Visual media mirrored the print media, giving endless coverage to medical pundits who never treated Michael Jackson but they were certain that he was an addict. Brian Oxman was the worst of all the media whores. What he left out from his endless drivel was that he wasn’t part of Michael Jackson's life and he had no first hand knowledge of any drug use. This didn’t prevent him from blathering in front of UCLA, before Michael was even pronounced dead. When asked what drugs Michael was allegedly addicted to, Oxman deflected to questions by stating that he didn’t know and that we should wait for the “toxilogical” [sic] report. We did, however, learn one important fact from Brian Oxman: that he hugged both Jermaine and Randy!!!!! Larry King asked Frank Dileo if he knew anything about Michael's drug problems. First, Michael's 1984 hair burn accident during a Pepsi commercial was released to mark it as the beginnig of his drug addiction. After Michael settled with Pepsi for $1.5 million dollars (all of which went to Brotman Burn Center), John Branca business partner Gary Stiffelman had seized this tape from Pepsi. Then TV stations began showing a clip, displaying Michael Jackson spider bite wound. that his non-apperance was due to a spider bite. Media pundits who are ever the experts in everything Michael Jackson challenged Michael's wound as being a spider bite. "The fact that Michael Jackson says he has a spider bite is a bunch of crap. Jackson has no idea what he's talking about" retorted Rick Vetter, the spider expert. "It is a spider bite, it hurts really bad. I didn’t take one pain pill to deal with the excruciating pain. I have just been dealing with it by meditating” Michael said. On December 6, 2002, the judge ordered Michael to undergo a medical examination. Dr Alimorad Farshchian examined Michael & confirmed that it was indeed a spider bite. After Michael's death, a video clip with his spider bite surfaced along with commentaries by doctors who never treated Michael alleging that the wound was likely due to drugs. As the watch the footage, I noticed the "courtesy of AEG" annotation. But why in the world AEG would be in possession of this footage of Michael? And more importantly why was AEG disseminating this clip to media outlets? Here we are 2 years into the man’s death, powerhouses such as MJ Estate Executors, AEG, Sony and Conrad Murray defense team puts an astonishing amount of time and effort into portraying Michael Jackson as someone that he was not: an addict. And lucky for them, most people presume this media misinformation to be accurate without demur. Media misinforms the public about the “polypharmacy of drugs” at Michael’s home. The following drugs were prescribed to him for legitimate health concerns. Clonazepam & Trazodone were prescribed on the same day, April 18, 2009. Michael was suffering from stage fright. This would have been his “comeback” and he was increasingly nervous. Dancer auditions took place on April 13, 14 and 15th. The production was becoming real and Michael started to lose sleep. Notice most of the drugs were prescribed in and after April 2009, after the production began. Trazondone is an anti-depressant. It is serotonin modulator. It works by increasing the amount of serotonin, a natural substance in the brain that helps maintain mental balance. It is used to treat depression. It is also used to treat insomnia. Prednisone: Treats artihitis and lupus. Lorazepam relieves anxiety. It works by slowing activity in the brain to allow for relaxation. It can also be used to treat insomnia. One of the side effects of Lorazepam is difficulty urinating. It was prescribed the same day AEG read Michael a “riot act” . Michael was told that if he doesn’t show up to rehearsals and increase his performance, AEG would pull the plug on the Tour and the money. The contract between AEG and Michael enabled AEG to take ownership of both of Michael’s music Catalogs, If Michael were to fail performing 50 shows. NO HYROCODONE WAS FOUND AS THE MEDIA MISREPORTS! What is found at the scene is hydroquinone which is a LOTION that treats Vitilago. Benoquin is also a lotion that treats Vitilago. Lidocaine is a lotion that relieves burning pains at IV injection site. 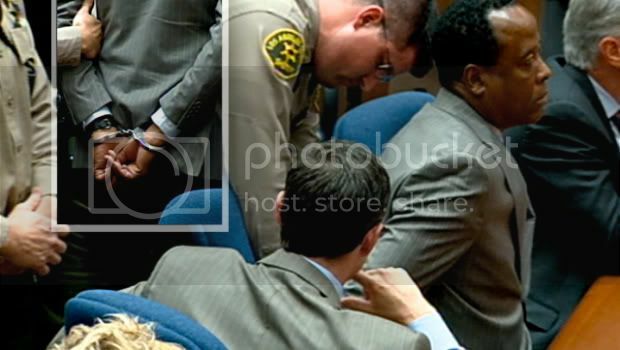 Conrad Murray, later, also, ordered injectable form of Lidocaine and mixed it with Propofol. That night, Michael's bodyguard said to fans “Michael didn’t want to go to rehearsals tonight, he’s tired” On June 16, Michael didn’t show up for rehearsals. On June 19, Michael was sent home from rehearsals by Kenny Ortega because he "didn't think Michael looked well enugh to be on stage"
and treating him like a human being, AEG et al ambushed Michael. Valium, which treats ANXIETY, was obtained after this “riot act”. The following drugs were prescribed by “Dr” Murray to treat insomnia. They are NOT drugs that treat insomnia and they are NOT administered at home. Michael Jackson is a lay person who trusted a “doctor” with valid medical license to help him treat his sleeping issues so he can fulfill his contractual obligation to AEG. It is the doctor’s DUTY to properly prescribe. So yes, we should condemn the following drugs that were found at Michael’s home…but we should condemn the “doctor” that prescribed them, purchased them, brought them into the house and administered them. Midazolam is given before medical procedures or before anesthesia for surgery to cause drowsiness, relieve anxiety and prevent any memory of the event. Propofol is an anesthetic used to induce medical coma before surgeries. It is administered ONLY in hospital settings by a licensed anesthesiologist. It is NEVER used to treat insomnia. Vigilant monitoring of the patient is necessary because it stops the breathing, a machine is needed to breathe for the patient. Administering Propofol to treat insomnia, doing so in a home setting without proper monitoring and resuscitation equipment, not having an infusion pump and having Propofol drip freely into the Patient, doing so for 6 weeks and topping all this incompetence by walking out on the patient makes Conrad Murray an sheer pathetic excuse of a “doctor” whose medical license should be taken away. Another misinformation printed on the media is the use of the word “sleep” in connection with Propofol. “Conrad Murray put Michael to sleep at 10:40pm” NO! Conrad Murray put Michael Jackson UNDER COMA at 10:40pm. Propofol doesn’t put people to sleep, the proper term is “medically induced coma”. be a medical expert to report accurately, you just have to feel a journalistic responsibility to bring nothing but the facts to public. The following is an account of a patient that was given Propofol on ONE occasion. Imagine how Michael Jackson must have felt after 6 weeks of Propofol administration. The following symptoms are only from Propofol. Michael Jackson was given Propofol, topped with benzodiazepines. He had to take care of three children and attend grueling dance rehearsals for which energy, alertness and coordination was a must.